JK Organisation’s footprint in India: JK Organisation, the Rs 21,000-crore conglomerate with a workforce of over 40,000, has business interests across the globe, spanning over 90 countries. 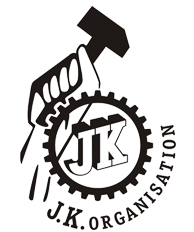 The JK Organisation traces its origin in the 18th century, when it came into being under the leadership of Lala Kamlapatji and his father Lala Juggilalji, therefore the name ‘J.K.’. The company is the undisputed market leader in Truck/Bus Radials in India, with 400+ selling locations, 4,000 strong dealer network served by 9 plants in India and 3 plants in JK Tornel, Mexico. With state-of-the-art modern production facilities in all 12 plants, total production capacity is over 20 million tyres p.a. JK Paper Ltd. has two large integrated paper manufacturing units - JK Paper Mills (JKPM), Rayagada, Odisha and Central Pulp Mills(CPM), Songadh, Gujarat with a combined capacity of 4,55,000 TPA. It is the market leader in Branded Copier paper segment and among the top two players in Coated Paper and High-end Packaging Boards. JK Lakshmi Cement, a renowned and well-established name in the Indian cement industry, now in its 32nd year, has a formidable presence in Northern & Western India’s cement markets. Its current capacity stands at 5.60 Million MT per annum. After opening of the insurance sector in the country, JK Risk Managers & Insurance Brokers Ltd., a recent initiative of the JK Group, provides Insurance Advisory & Placement Services to both retail & corporate clients in urban and rural segments. The company serves as an interface with the insurance companies and insurance buyers and and caters to the best interests of clients providing them customised need based s.olutions. It expertise in specialized segments such as Aviation, Oil & Energy both offshore & onshore, Weather Derivatives for farmers, Liabilities and Group Medical insurances. A leading agri-biotech hybrid seed company with pan-India presence. Its activities include plant breeding & biotechnology research, seed production, processing and marketing of hybrid seeds of various field crops. JK’s dairy business produces and markets skimmed milk powder, butter pure ghee, varieties of dairy whiteners and premixes compatible with tea & coffee vending machines and liquid milk in poly pouches for retail and institutional customers. Besides the various schools running under Lakshmipat Foundation, JKLU is one of the recent initiatives of the group that offers management and engineering courses and best facilities that are producing new-age technocrats and business leaders. In a short span of time JKLU has already bagged several accolades including the Best Upcoming Private University in Rajasthan, the Best Emerging Business School and the Best Emerging Private University in North India. Company manufactures Industrial and Automotive V-Belts, Oil seals, Engineering Products, and a host of new products providing Total Mechanical Power Transmission and Sealing Solutions. JK Organisation, the Rs 21,000-crore conglomerate with a workforce of over 40,000, has business interests across the globe, spanning over 90 countries. The JK Organisation traces its origin in the 18th century, when it came into being under the leadership of Lala Kamlapatji and his father Lala Juggilalji, therefore the name ‘J.K.’. While the flagship businesses are Tyre & Industries, Cement and Paper, the group umbrella also includes Fenner India, JK Seeds, Umang Dairies and JK Agri Genetics. The group also has a significant presence in the clinical research and insurance solutions through its companies: CliniRx Tangent Research and JK Risk Managers & Insurance Brokers Ltd. The pioneering spirit of J.K. Organisation which has been constantly striving to provide best products to its consumers also felt the need to have a functionally effective education system for the growing generations of India. While it continues to run various schools across its facilities in different parts of the country under the Lakshmipat Singhania Foundation, The JK Lakshmipat University at Jaipur has taken up the responsibility to shaping up the new-age new-age technocrats and business leaders. The conglomerate is also in health care services. While every plant of the group has primary healthcare facilities for its employees and communities living around them, it runs the Pushpawati Singhania Research Institute for Liver, Renal and Digestive Diseases, New Delhi, the JK Institute of Radiology & Cancer Research, Kanpur and the Lakshmipat Singhania Institute of Cardiology, Kanpur. The Tyre business has recently announced an investment of INR 1,430 crore to expand capacity for the production of trucks, buses and car radial tyres at its plant near Chennai over the next 15 months. The other flagship business JK Lakshmi Cement also announced its expansion plan with a cost structure of Rs 1,550 crore, involving setting up of a 2.7 million-tonnes-a-year (mtpa) Greenfield project at Durg, Chhattisgarh along with captive limestone mine and two grinding units. Continuing the growth momentum is JK Paper business that has commissioned its Rs 1,750-crore expansion at Rayagada, Orissa, adding nearly 60 per cent to its paper production capacity.